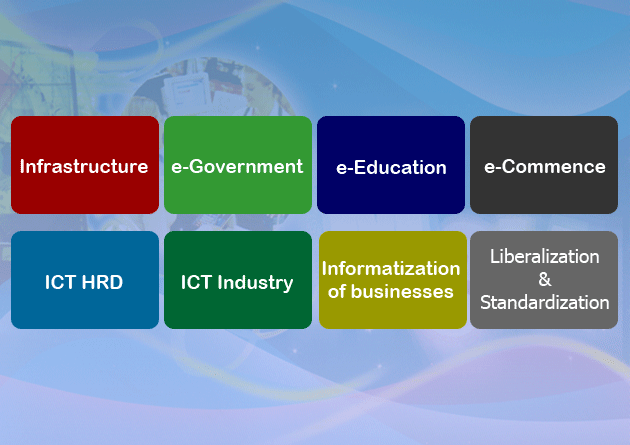 To lead and cooperate with state and division Computer Industry Associations. To implement the objectives of The Computer Science Development Law (10/96). To organize to International and local contacts for business developing of Computer Enterprise news. - Mobile and Telecom Services Sub Committee. - Hardware and Services Sub Committee. - Multimedia and Gaming Services Sub Committee. - Network and Security Sub Committee. - Software Industry Development Committee.